Recently, I became reacquainted with Oblio as a friend on Facebook shared Liviu Mihaiu’s post that suggested a viewing of that famous little movie with Romanian subtitles. I remembered I had mentioned Oblio in an article about the Romanian Students Club and punctuality where I had even published a playlist containing the whole movie. But that was a tangential treatment and much remains to be said about it. For starters, the version (starring Ringo Starr as the Father / Narrator) we’ve all known and come to love is not the original. The lesser-known first version featured Dustin Hoffman in that role. Incidentally, the torrent of the movie also includes Romanian subtitles. Much like Anklebone (Gleznoscel), it’s a story of –maturity—(actually, the English language has a specific word that I cannot remember that better describes it than “maturity”; it’s not “homecoming” either). Though it’s in the “Hero’s Journey” genre, it is more about a journey of self-discovery. And that’s precisely what Oblio does. Plus, it has an element of “go with a smile”, that quintessential Victorian / Protestant quality. But aren’t there hidden meanings in this little gem? And if there are (of course there are! ), are they universal? Say, what’s happening with you, boy? You’ve been goofing with the [b?]eed? Well, us “stone” folks are everywhere. Just open your eyes and look around you. Naturally, baby. There’s a whole family of us, “rock” folk. Listen Jack, there ain’t nothing pointless about this gig. Just look around yourself. Mother Nature watches over the whole scene. And dig me, taking it all in. C’mon boy, out with it. Don’t get yourself all wrecked up and jammed. You got a question? Lay it on me. But let it out eaaasy. There you go again (..). You gotta open your mind as well as your eyes. 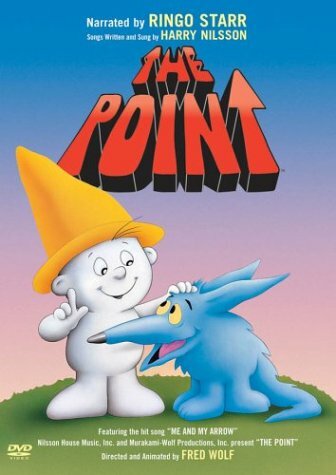 You don’t have to have a point to have a point. I fear you’ve been getting some negative vibration from some place. You gotta collect yourself. Be cool. Be steady as a rock. Being a rock is a very heavy life. Us rock folks are impervious to heat. We stay cool. Insusceptible to water. That's cool too. Now there you go again, you’re tensing up. “Boy, I’ve never realized that rocks and stones are so..” – All you gotta do is open your mind along with your eyes. Play it eaasy. 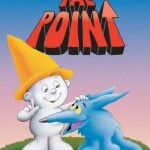 And remember as you make it through this forest, it ain’t necessary to possess a point or to have yourself a point. The “stone man” is full of meaning and to me he’s the quintessential stoner. Though one can attach other meanings to him, this is the one I like the most. I almost introduced it as an argument in the drugs legalization debate, but then I thought that this meaning, which is crystal clear to me, may not be shared by everybody. In June 2011, the Global Commission on Drug Policy released a critical report on the War on Drugs, declaring "The global war on drugs has failed, with devastating consequences for individuals and societies around the world. Fifty years after the initiation of the UN Single Convention on Narcotic Drugs, and years after President Nixon launched the US government’s war on drugs, fundamental reforms in national and global drug control policies are urgently needed." 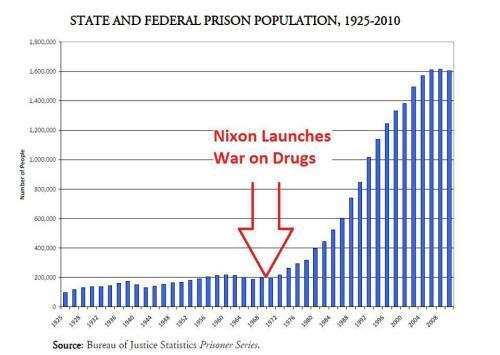 Although Nixon coined the term "War on Drug Abuse" in 1972, the policies that his administration implemented as part of the Comprehensive Drug Abuse Prevention and Control Act of 1970 were a continuation of drug prohibition policies in the U.S., which started in 1914. Less well-known today is that the Nixon Administration also repealed the federal 2–10-year mandatory minimum sentences for possession of marijuana and started federal demand reduction programs and drug-treatment programs. Robert DuPont, the "Drug czar" in the Nixon Administration, stated it would be more accurate to say that Nixon ended, rather than launched, the "war on drugs". DuPont also argued that it was the proponents of drug legalization that popularized the term "war on drugs". DuPont was pretty much full of it. Even if it may be true that Nixon “relaxed” certain laws, he started, in our times, the train wreck of “tough talk” and blaming of marijuana / cocaine / heroine users of whom those convicted were overwhelmingly poor and black. Seizing the moment, Nelson Rockefeller, New York governor passed a couple of years later the infamous laws that bear his name. The adoption of the Rockefeller drug laws gave New York State the distinction of having the toughest laws of its kind in the entire United States — an approach soon imitated by the state of Michigan, which, in 1978, enacted a "650-Lifer Law," which called for life imprisonment, without the possibility of parole for the sale, manufacture, or possession of at least 650 grams (approximately 1.45 pounds) of cocaine or any Schedule I or Schedule II opiate. Both the New York and Michigan statutes came under harsh criticism from both the political left and the political right. William F. Buckley (2, 3), one of the most conservative public figures in America, was staunchly against it, as well as many in law enforcement, who saw inherent unfairness in placing the non-violent crime of drug trafficking on a par with murder. Economist Murray Rothbard called the laws "draconian: long jail sentences for heroin pushers and addicts. The Rockefeller program, which of course proved finally to be a fiasco, was the epitome of the belief in treating a social or medical problem with jail and the billy club." The laws also drew intense opposition from civil rights advocates, who claimed that they were racist, as they were applied inordinately to African-Americans and, to a lesser extent, Latinos. 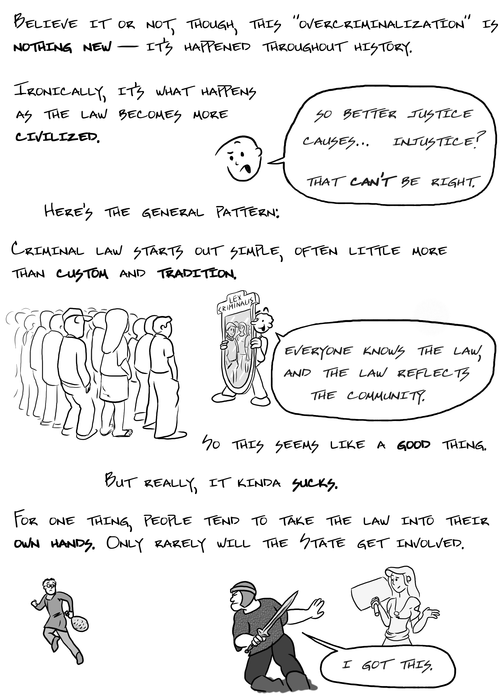 Needless to say, these aren’t either the only or the worst stupid laws ever passed, thecriminallawyer has doodled quite a few more. What’s more interesting is the full illustrated history of how criminal law has become so idiotic, unknowable and intrusive. Perhaps far more impactful on the rest of the world than the War on Drugs was the Nixon Shock, or the way Nixon terminated, with the stroke of a pen, USD convertibility to gold, transforming it in fiat currency, and the Bretton Woods agreement which had been the basis of the entire world unprecedented prosperity up to that point. But that’s a story for another article. Much like 1974 marked a turning point in Romanian history, so did 1971 in USA (though Gladwell talks about 1975). Keep your eyes open, though that’s not how you see things. This entry was posted on 17.10.12 and is filed under entertainment , history , law - legislation , politics , society .